Are you looking for a planter or flower pot that's contemporary yet feels homey and nostalgic? 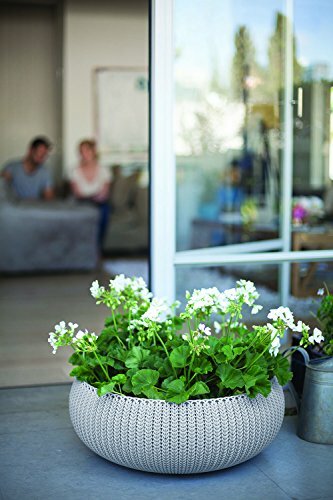 Stop looking because Keter is Introducing the next generation of indoor / outdoor planters with its Knit collection. 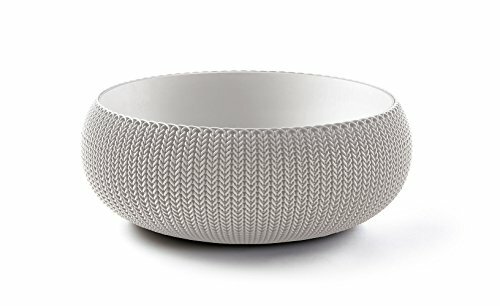 You'll love the way the eye-catching Keter Cozies Large Planter integrates beautiful texture together with a unique feel and stylish design that complement any home or patio furniture. 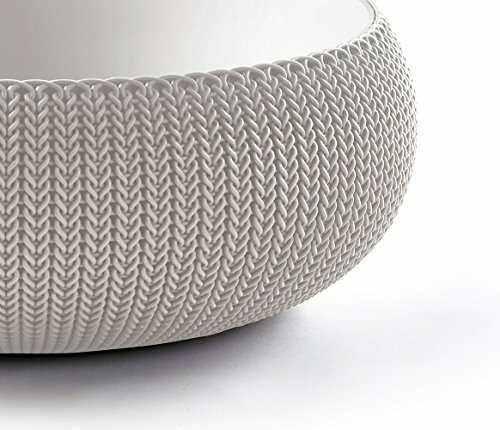 The detail on this resin planter is remarkable, with its intricate, interlocking woven knitted pattern that mimics a braided knit-style design. 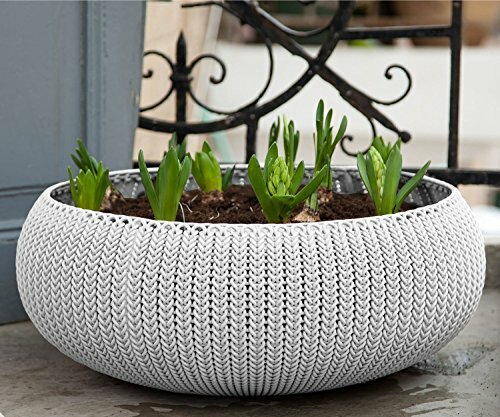 Durable knit inspired planters are ideal for indoor or outdoor use because they're made out of Polypropylene resin, and able to withstand incredible amounts of wear and tear. 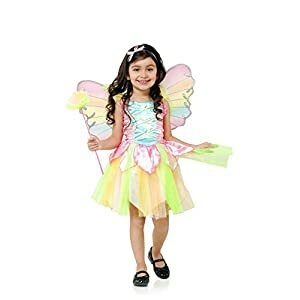 In fact, they will continue looking like new in your garden or patio or anywhere outdoors. 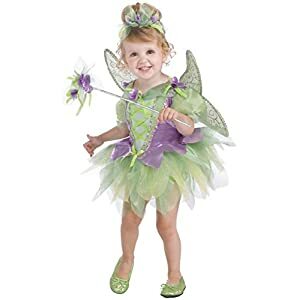 Thanks to its sealed inner bowl and drainage plug, it works just as well indoors. 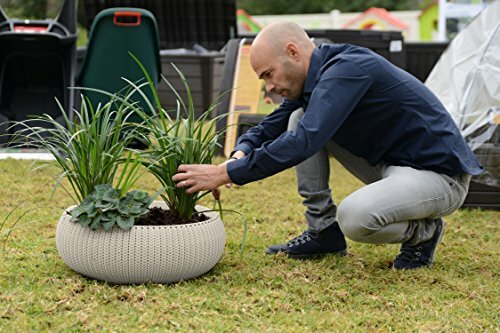 Finding the perfect planter for your garden, porch, home office, kitchen or anywhere else in or around your home is a breeze. 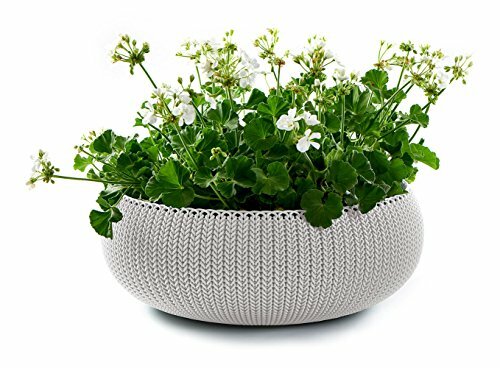 • The Cozies Knit Planter is offered in a fresh color palette that provides a warm & cozy feeling that will complement your home decor style, so there is no need to fear that it won't work with the color scheme in your home. 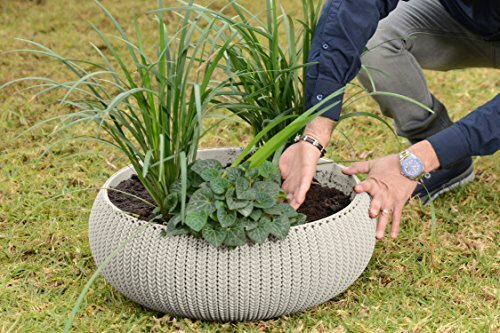 If you have been looking for the perfect planter with a remarkably unique look, the cozy with its unparalleled 3-D knit-style design from Keter is for you.